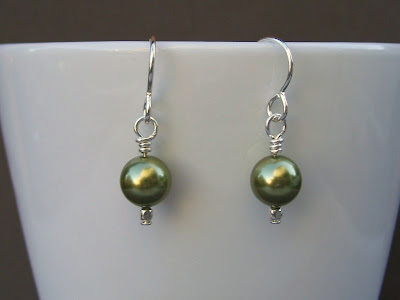 Designs by Tracy Brigham, our Etsy shop this week, opened in March 2010 after persuasion from Tracy's daughter to do so. After watching her mom perfect her skills making jewelry by working with gemstones and beads, she knew that there would be a market for these items. I am sure you all will agree with that sentiment when you see the offerings at Designs by Tracy Brigham. 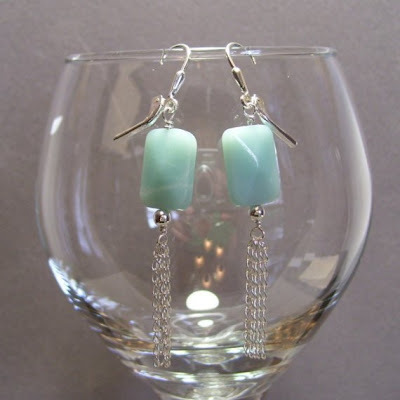 Not only does Tracy create jewelry, but she also makes wine glass charms, napkin rings and hummingbird feeders. Tracy would like to extend a special offer for all of the Joy De Vivre readers from now until next Monday at the close of the feature. Just enter coupon code FEATURE at checkout and you will receive 10% your entire purchase! Measuring approximately 16 inches in length, this vivid green necklace is made of 12mm faceted coin beads. 1. 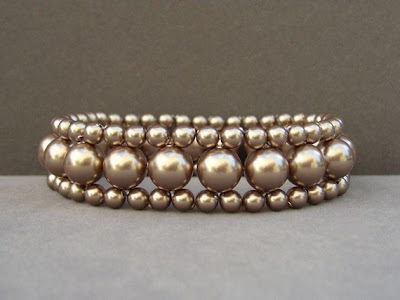 Check out Designs by Tracy Brigham. Come back and fill us in on your favorite item in the shop. Enter from now until next Monday at noon. Come back Monday night to see if you are the lucky winner! cute ACSESSORIES! I'm glad that I've visited yours. Please, check mine, maybe we can follow eachother? 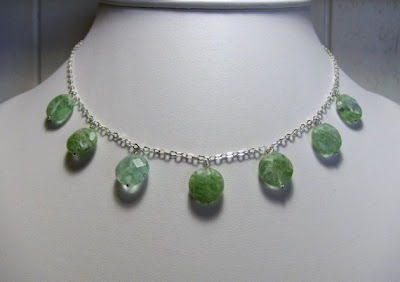 That Green Rutilated Quartz and Sterling Silver Necklace is awesome!! I'll pass on this week - because I know three lovely ladies that would look awesome wearing those earrings (and I would'nt). these iolite triple dangle earrings are lovely. These giveaway earrings are so pretty, thanks so much. I also like the Clear Crystal and Smoky Quartz Gemstone Sterling Silver Dangle Earrings, these are delicately simple and yet so beautiful. MERRY CHRISTMAS TO YOU AND BARKLEY!